← Enter Retro 1951’s Ugly Pen Contest at Disney’s D23 Expo! Here in the Lone Star State, and across the country, the new school year is officially in session! And it got us to thinking of all of the school supplies we loved so dearly as we were growing up. So in true retro fashion, we thought we’d put together a list of some of our favorite back-to-school supplies. Looking back it’s hard not to get nostalgic when remembering our school days, and just how exciting new school supplies could be. Aside from new clothes and hairstyles, nothing was more exciting than heading to school with a backpack full of new school supplies! Kids these days are required to purchase dry erase markers and glue sticks. But in our day, it was all about Husky pencils and rubber cement glue. Thanks to Robin Huterchson-Culp for her vote for “big fat #2 pencils.” We looked all over the web and this was the only picture we could find of the elusive Husky Pencil. Even if you aren’t familiar with LePage’s, you have to remember the potent fumes of rubber cement and its snotty-like consistency (go ahead and cringe, but you know it’s true). 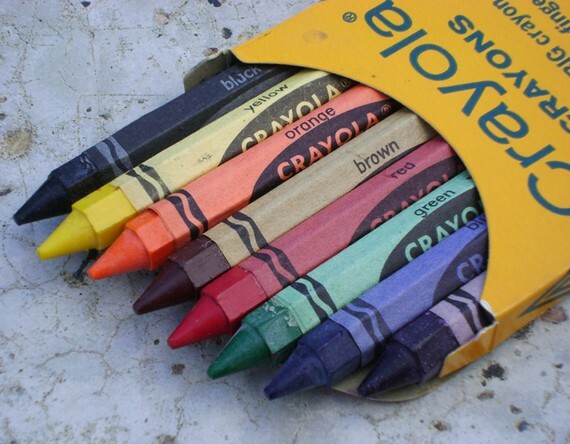 Pastels were a must-have for art projects (and a nightmare for all moms who had to wash out the stains). 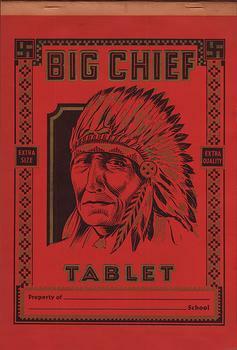 At first glance, Big Chief was intimidating to say the least, but its ruled lines were every grade schoolers’ friend when it came to their ABCs and 123s. Thanks to Hayden Ray Austin for his vote for notebooks. Trapper Keepers were the ultimate school supply & fashion accessory all-in-one. 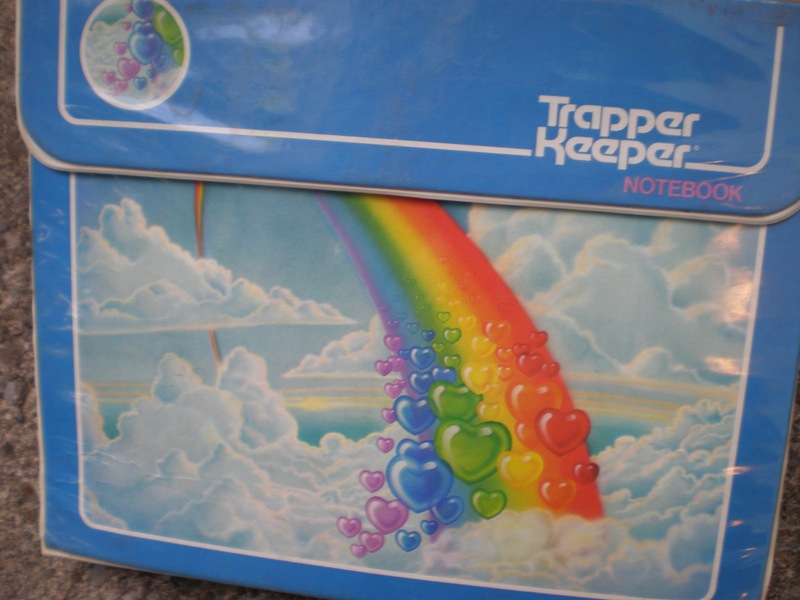 You were definitely a cool kid if you had a Trapper Keeper. Thanks Paul Kulish for this vote! And just to keep it fair, here’s one for the ladies. 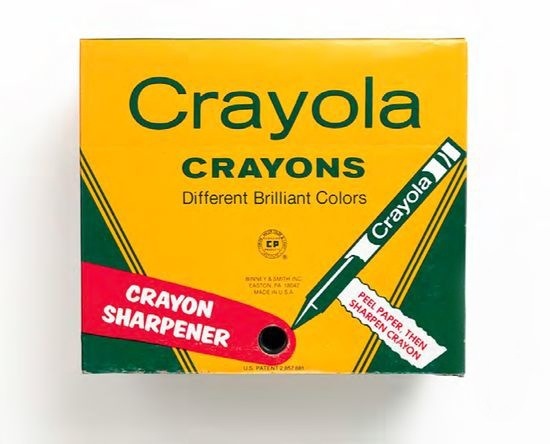 And with age (and better dexterity) came the Holy Grail of creativity, the 64-count Crayola Crayon box with built-in sharpener. Never before (nor since) had we been offered so many options. 🙂 Thanks to Charles Barilleaux for his vote on these! Did you see your favorite back to school supplies here? Did we miss any that you just couldn’t live without? Let us know! Around 1962 there was a vinyl binder that held paper from the top. The mechanism that held the paper was magnetic and had space to hold pencils as well. I can’t remember who made it and can’t find any pictures of it. It completely disappeared in about a year. You’ve officially piqued our interest. We’ll have to do some digging to see if we can find this for you. It was the magnetic Nifty Binder and one sold on e bay for 60 dollars! I had a light blue one and I sure do miss it! Had I known then what we know now, I would have bought 100 of them and sold them in 2016. Who would have guessed they would have so many sentimental memories??? Found a picture of a Nifty notebook but it seems like you can’t post pictures here …. Randy, feel free to email it to me richard[at]retro51[dot]com. One was left in a house we just bought. It is white and is the Nifty Space Saver. It is magnetic and holds paper with two holes at the top. A pencil fits in the top when opened. Anyone know what this is worth? I have a while one that I’ve had for a very long time. Only thing you can’t find the paper. I think on eBay one was being sold for over a hundred dollars . It was a Nifty notebook! I would love to show my grandchildren. Nifty is correct. Had one in 1st grade ’58 / ’59. I’ve been looking for the name of this notebook, too. 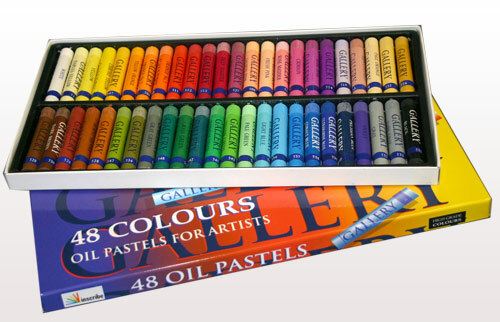 The top would fold over to the back, and I think you could even prop it like an easel … I had a blue one. for the 62-63 academic year, was “Nifty.” It came in a few colors, and required non-conventional two-hole punched top margin notebook paper. common three ring, blue cloth clad multi-subject notebooks of the era. And yes, it had a rather short product arc, possibly gone within a year or so. We found a Nifty Notebook photo online for you! 🙂 What an interesting concept for a notebook. This won’t come up. This was a cool notebook. They made them that flipped over the top or flipped to the side. They worked really nicely for us left-handed folks – no rings to contend with. I attended Catholic school in the 60’s. The nuns had rubber stamps for grading papers–I would love to see them again- they were angels, a set of about 4, the first one was smiling radiantly for excellent work, the last angel was weeping for poor work! I had a Nifty in Catholic school too – for a day. Then the nuns told us we couldn’t have them. Had to have regular 3 ring binders. My favorite Nofty Notebook used normal 5 hole notebook paper but had the magnetic latch and pencil box and was called the Nifty College Binder. I had one until the early 70s’ I really miss that notebook..I never cared for the top holed version though..my favorite pen is the Sheafer fine point cartridge pen..still have 3 of those and 2 medium points Michaels still carries the ink cartridges 5 colors..for 6 bucks..I’m thinking about making my own ‘Nifty’. I had hoped to find one on line..but..alas not so.. I still have (and use) my top folding magnetic closure notebook from 1962 with pencil compartment. So much more convenient than other notebooks. Frustrating to not be able to buy 2 hole top punch lined loose leaf paper. I have to punch my own. I would love to see a picture to see if it’s what I remember. Is that possible? I can’t believe I found someone who remembers those notebooks!!! I have been looking to find one! I had one In the late 70’s early 80’s….we would put our puffy and scratch and sniff stickers on them. Just the same as early 60’s though, they came out for a couple of years then stopped. I had a turquoise one. I can’t find mine, asked my brother to take one of blue one and send me. I have a brown Nifty notebook. I’m looking for the paper for it. Might have to make my own pad for it. I remember my Nifty notebook very well. It was a top loader and was green. School supplies were almost unheard of for left-handers and it was very difficult to write left-handed in a three ring binder. I loved it. It was not until I started to college that I experienced left-handed desks. The world just became a whole lot easier for me. I’m glad everyone feels nostalgic about the Nifty Top Punch notebook, though I was not a fan. I was forced to use one while everyone else in class got to use the side punch. I was the only left-handed kid in class and it embarrassed me to be told I had to have the top punch. Paper is easy to get. Go to your local stationery and show them what you are needing and they can drill it for you fairly cheaply. How about the the denim covered binder. You were definitely a big kid when you had one of these! There was a jingle on TV that I remember. “Take a nifty binder to school with you and if you’re wise get all your school supplies wherever you see the nifty…drum major. I remember the drum major! He was leaned back at a ridiculous angle. I loved my blue Nifty from 1962. I’m a lefty too. I loved my blue Nifty binder!